This one day class will give students the knowledge base to determine the cause of client knee/ankle discomfort. Clients suffer everyday from knee and ankle pain. Fortunately many problems are reversible with the application of simple therapeutic techniques. This fun one day class will add many valuable techniques to the Massage Therapists tool box. * Range of Motion Testing – simple assessment procedures to identify lack of ROM. Testing will help students prepare treatment plans. * Techniques to improve the balance of musculature that cause joint pain. * Myofascial protocols to lengthen the hypertonic Myofascial structures and strengthen the antagonist. * Easy techniques to correct stretch weakened and adaptively shorten musculature to elevate knee and ankle pain. * Muscle Energy Techniques for the lower extremities. 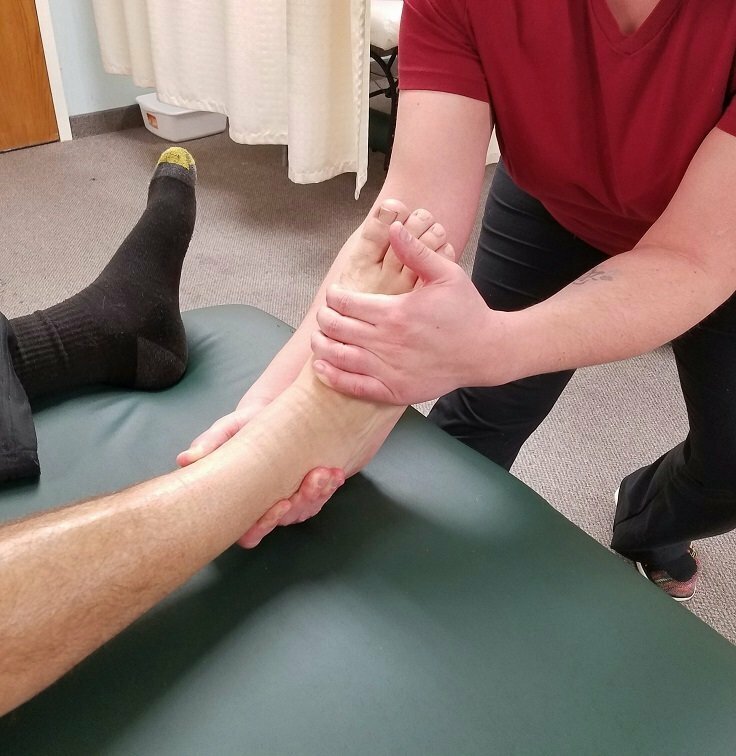 * Treatment protocols for ITB syndrome, Patella Femoral dysfunction, Patella tendonitis, shin splints, Compartment syndrome, Ankle sprains and Plantar fascititis.